Send N3xT a private message. Send N3xT an email. RE: The Crew News #75 - It's always easy the second time! today I wanna to show one of my login panels, let's see the video. 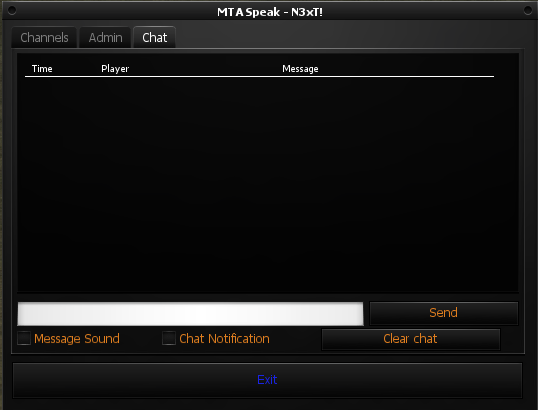 Hey everyone, Now you can speak with your friends in-game! 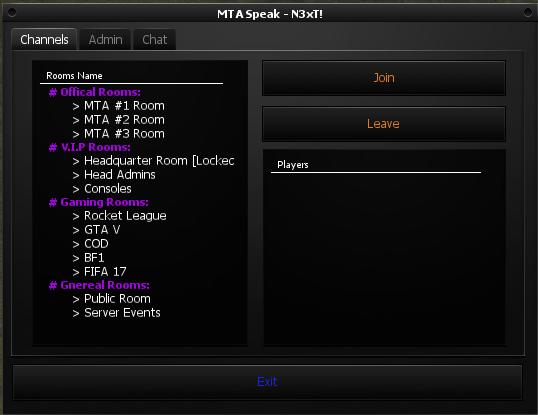 I present you my latest script, MTASpeak. 1. don't change the resource name. 2. give the resource admin permissions ( resource.miniadmin or resource. * ). 3. 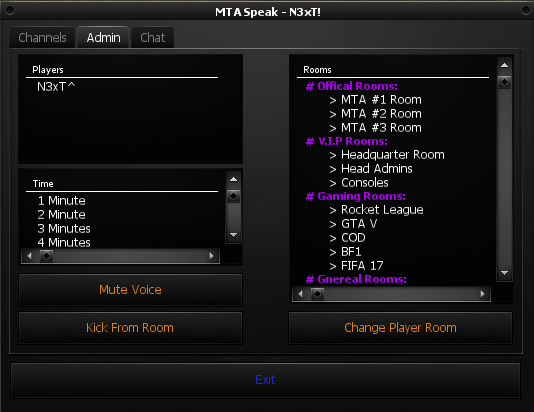 If you want to edit the groups etc.. ( meta.xml ). 4. If you have a bug or an idea feel free to PM me.